Many people look at the 3 Series as the ultimate BMW. It deserves every bit of the praise it receives because it has become the supreme saloon. 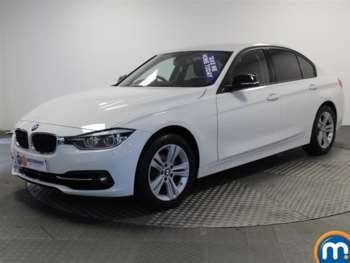 There’s been so many variants, so many engines and so many models of the used BMW 3 Series available since its conception in 1975. From performance editions to sporty style variants, there’s a model out there for any used car buyer. The 3 Series has gone from strength to strength, and the newest model is proof BMW know how to build a car. It was originally designed as an entry-level luxury car to replace the 02 series. From the basic 3 Series to the M3, every car is built to last, built to evoke emotion and built to impress. Modern BMW diesels are nothing short of remarkable. 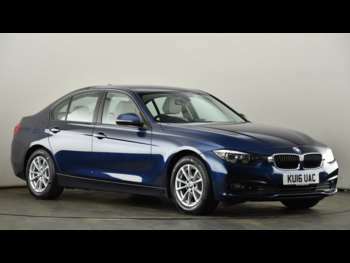 If you go for one of the twin-turbo diesels, you’ll have a saloon that is not only sleek, respectable and good on diesel, but also unbelievably quick. The 330d variants are rapid, but there is also an array of smaller-engine petrol and diesel units to choose from. So, whatever you want, there is a second-hand 3 Series for you. ‘The Ultimate Driving Machine’ is the slogan, so that tells you how well it drives straight away. In basic terms, you’ll struggle to find a better handling saloon for this money. It’s a dream to drive on a daily basis and is capable of handling everything from long motorway drives to twisty B-roads. The M3 is the most exciting variant in the range, but any 3 Series has the chassis to keep a big smile on your face. 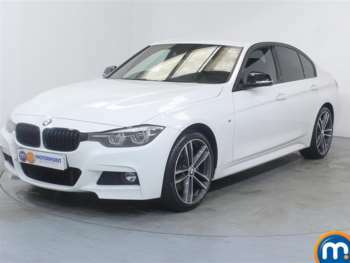 For what you get, a used 3 Series is easily the best junior executive saloon on the market. But there’s plenty of other used BMWs that are just as good!